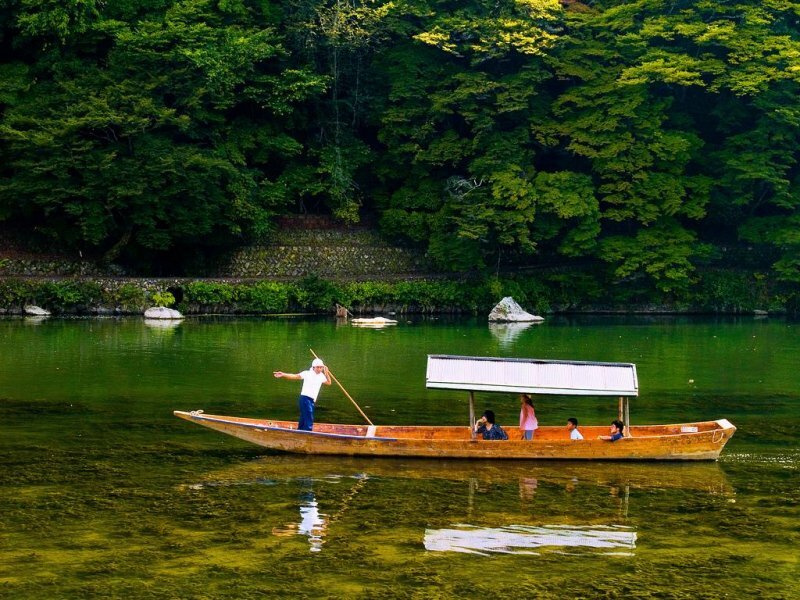 Enjoy the charming hamlet of Kibune, filled with numerous traditional Japanese "ryotei" restaurants, go on a scenic Hozugawa River cruise during this one-day tour available exclusively to The Junei Hotel guests. 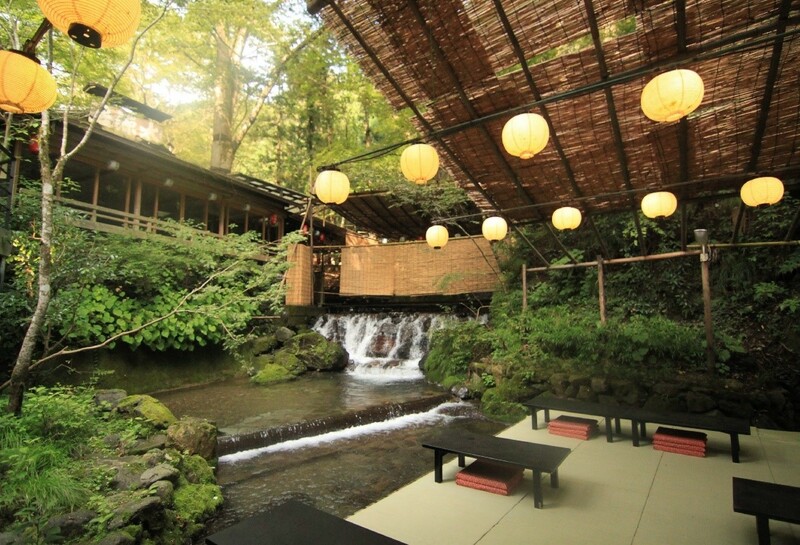 Kibune, a charming little hamlet just over the ridge, is a cluster of "ryotei" (Japanese traditional-style restaurant) overlooking a mountain river. 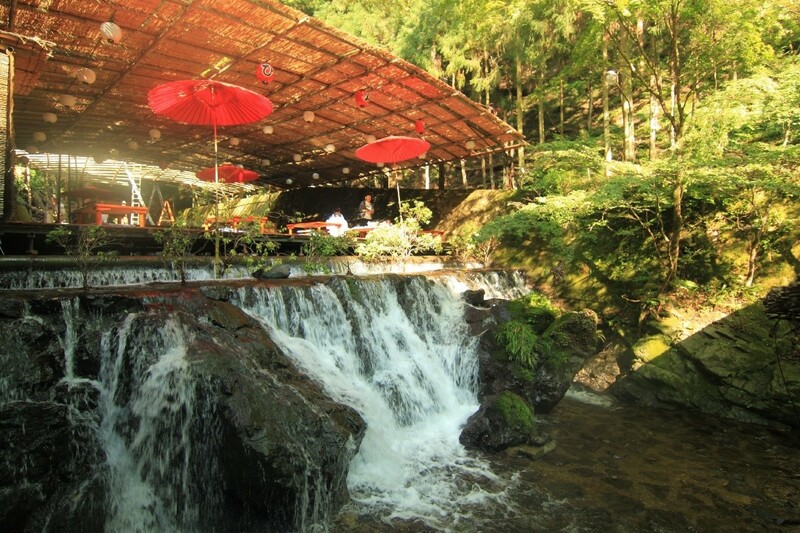 From June to September, Kibune's restaurants build covered platforms out over the river where visitors can enjoy a meal as the water flows beneath them. Known as "kawadoko", dining on the platforms is a relaxing experience and an excellent way to escape the summer heat. 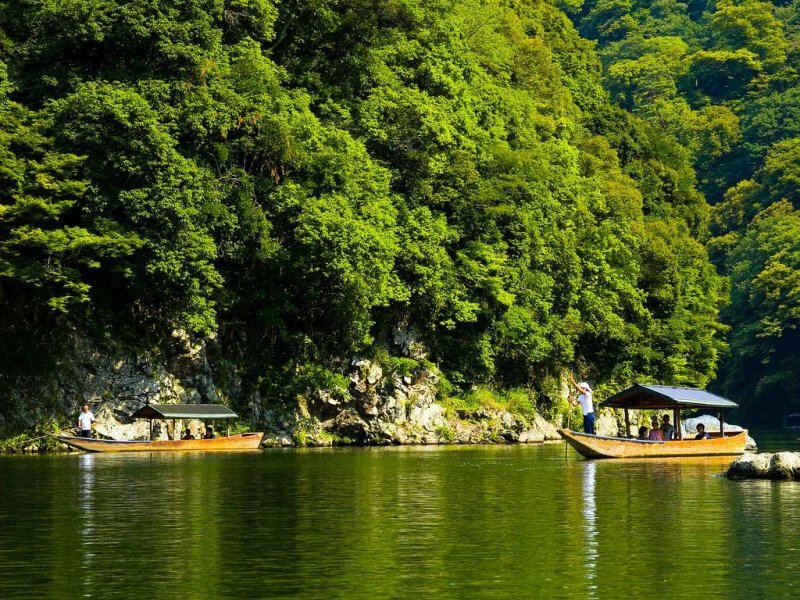 Hozugawa River Cruises are sightseeing boat rides down the Hozugawa River from Kameoka to Arashiyama. The cruises utilize traditional style, flat bottomed boats piloted by boatmen who guide the craft with oars and bamboo poles where visitors experience torrent swallowing rocks and the refreshing spray from the river. The boats take about two hours to leisurely make their way down the river and are a relaxing way to see the natural scenery of the largely undeveloped ravine. 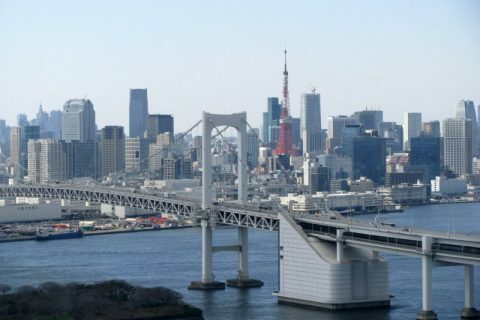 For over one thousand years the Hozu-gawa River has been home to a bustling and thriving water transport culture. 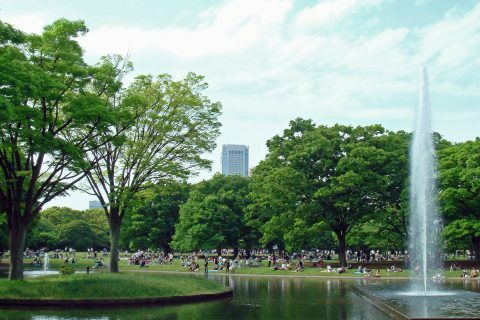 Cruises are offered year round, which offer the visitors spectacular adventure during four season; cherry blossom in spring, green leaves in summer and autumn when the leaves change color. There is no cancellation charge for the cancellation up to 30 days before arrival. We will apply a 50% charge for the cancellation 29 days before arrival onwards, and a 100% 10 days before arrival. In case the tour is cancelled due to bad weather, a 100% refund will be provided. 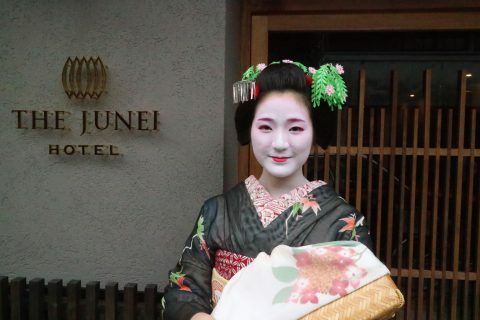 The meeting point is in the lobby of The Junei Hotel.